The government would consider co-investing with a private sector partner to help save the Port Talbot steel works, the business secretary has said. Sajid Javid told the Commons that the government was working very hard to find a buyer for the South Wales plant, which is being sold by Tata Steel. Among options being considered was "the possibility of co-investing with a buyer on commercial terms", he said. Earlier, Tata announced the sale of its Scunthorpe plant to Greybull Capital. The Long Products Europe business was sold to the investment firm for a token £1 or €1. The move will safeguard 4,400 UK jobs, but workers are being asked to accept a pay cut and less generous pension arrangements. The future of the larger Port Talbot is still in doubt, however, although at least one potential buyer has expressed an interest. The government has resisted calls from unions and opposition politicians to nationalise the Port Talbot plant, Britain's biggest steelworks, to safeguard thousands of jobs. Mr Javid said that the sale process for Port had only just started, but all options are still being explored. This included "investment or funds from government," Mr Javid said. "But it has to be on commercial terms." He added: "I've been in contact with potential buyers, making clear that the government stands ready to help." Mr Javid said: "Several weeks ago Tata told me in confidence that they were seriously considering an immediate closure of Port Talbot, not a sale, a closure. "That would have meant thousands of hard-working men and women could already be out of a job. Thousands more would have been facing a very bleak future. I was not prepared to let that happen." Tony Burke, assistant general secretary of Unite, said the union would be holding Mr Javid to his commitment to co-invest if necessary. "The penny appears to have dropped that there should be an active government supporting steel and manufacturing as the best best hope of securing the future of the industry. "We look forward to sitting down with secretary of state to hear more of his plans for co-investment," Mr Burke said. MPs will hold an emergency debate on the steel industry on Tuesday, called for by Labour's shadow business secretary, Angela Eagle. She complained that the government had refused to recall parliament from its Easter break to discuss the news that Tata was selling its UK steel operations. Tata Steel is losing millions a week and today's deal with Greybull took six months to conclude. Group Executive Director Koushik Chatterjee told me that the process would be given "due time" without specifying what that might be. He also said workers should take comfort from the fact that the company had already waited two weeks before starting the process to sell Port Talbot and other assets and that he saw potential buyers in "the tens". There has already been tentative interest from the steel company Liberty House but the vision outlined by its chairman, Sanjeev Gupta, would require a radical and time consuming restructuring of operations at Port Talbot along with significant government support. That appeared to be on hand as the Business Secretary Sajid Javid said the government would be prepared to co-invest with a buyer on commercial terms to secure a sale of Tata's remaining assets. This is a step further than the government has gone before, and, while giving extra hope, also shows just how difficult it may be to find a buyer. 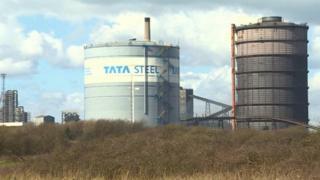 Who might buy Tata in Port Talbot? What's going wrong with Britain's steel industry? Tata Steel UK: What are the options? Is China to blame for steel woes? Tata's sale of its European long products unit, announced earlier in the day, comes at a time when European steelmakers are struggling to survive amid a wave of cheap imports from China. Greybull said it was arranging a £400m investment package as part of the deal. The business will be rebranded as British Steel once the deal is completed in eight weeks, it said. The new business would include the Scunthorpe works, two mills in Teesside, an engineering workshop in Workington, a design consultancy in York, a mill in Hayange, France, and sales and distribution facilities. The token sale price reflects the difficulties involved in turning around the loss-making business, but Greybull partner Marc Meyohas said he was "delighted" with the agreement and believed the division could become a "strong business". "At its core, it's a very, very good business," he said. He also said Greybull had not ruled out buying other parts of Tata's UK steel business. The Long Products Europe business makes steel for the rail and construction sectors. The division was put up for sale in 2014. Greybull, whose interest was widely known, has been in talks with Tata Steel for the past nine months over a possible deal. Greybull is backing a turnaround plan, which aims to return the loss-making business to profitability within one to two years, but will involve significant cost savings. Staff are being asked to accept a 3% pay cut for one year and reductions to company pension contributions. A staff ballot on the changes will be completed on 19 April. But Greybull said its plan "to reset the cost base of the business" had already been agreed with both trade unions and key suppliers. Greybull also said it did not expect further restructuring beyond the 1,200 job losses announced last October. That involved the closure of one of the two coke ovens at Scunthorpe and the mothballing of three plate mills, reducing annual production capacity to 2.8 million tonnes. 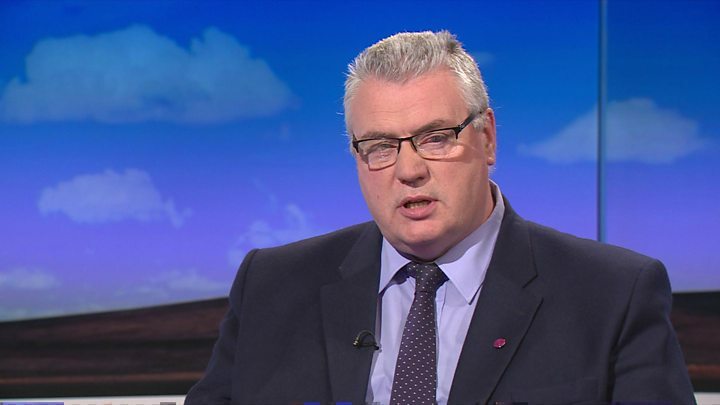 Media captionUnion leader on bids to save steels jobs at Scunthorpe, Port Talbot and Scottish plants. GMB national officer Dave Hulse said negotiations had taken "a long period of time", but said the deal would "safeguard members' jobs". Roy Rickhuss, general secretary of the Community union, said the announcement "demonstrates that with the right investors, UK steelmaking can have a positive future". Mr Javid said the agreement was "a step in the right direction for the long-term future of British steel manufacturing in Scunthorpe". The Indian steel giant said at the end of last month that it was exploring "strategic alternatives" for its UK business. Thousands of workers in England and Wales risk losing their jobs if a buyer cannot be found. Tata Steel directly employs 15,000 workers in the UK and supports thousands of others, across plants in Port Talbot, Rotherham, Corby and Shotton. So far, the only company to have publicly expressed an interest in buying Tata's UK steel business is Liberty House, owned by Sanjeev Gupta. Mr Javid, who was on a business trip to Australia when Tata first announced it was planning to sell its UK steelworks, is under pressure over his handling of the crisis. Video UK steel: What are the options?